Discussion in 'Wiki' started by derekleffew, Oct 13, 2009. 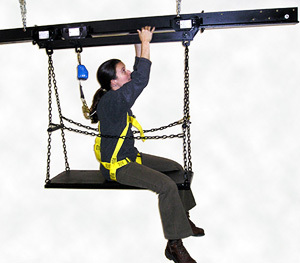 An apparatus used to access lighting positions where a ground support system (ladders, personnel lifts, scaffolds) is impossible or impractical. Extremely dangerous, must be specified and installed by a professional, and used only with the proper training and attention to safety.